Should I generate my energy? How can I make money off of my generator? What are my options when it comes to microgeneration? Have you ever heard of microgeneration? In simple terms, microgeneration refers to the renewable energy that you generate from your own home. That means from sources such as solar panels or wind turbines. Let’s take a look and find out more about microgeneration, including whether you should generate your energy and your options. As energy prices only seem to be rising in the last year, with all of the big six energy suppliers announcing price increases several times in 2018 alone, many customers are starting to look at how they can cut more costs. Microgeneration can help many customers access generators that they may not have been able to afford previously. It means installing equipment on your home to generate energy, like solar panels or wind turbines for example, which are usually the most cost-effective options. They are also more environmentally friendly and easy to operate, with Swedish retailer Ikea making solar panels much more accessible for all. It can save an outstanding amount of money each year, sometimes with you being able to start making a profit off your generators in only a few years. Whether or not you should generate your energy depends on several different factors. Do you want to become more environmentally friendly? Do you want to cut your energy costs? Are you interested in investing to save in the long term? If you said yes to any or all of these questions, you might want to take a more in-depth look into which type of generator might be best for you. The tables below will let you know how much money you can expect to pay for your microgenerators, as well as the typical amount your system will output. Around 3,2000 kWh is the average use of a household in the UK, which is typically a family of four in a three bedroom house. So as well as cutting the costs of your energy, you can sell your excess power back to the grid. This is thanks to the feed-in tariffs that are available from many of the primary energy suppliers in the UK after being launched in 2008, to encourage domestic properties to invest in renewable energy. Not only will you be able to make money from your excess energy, but you’ll also be doing a lot of good for the environment. 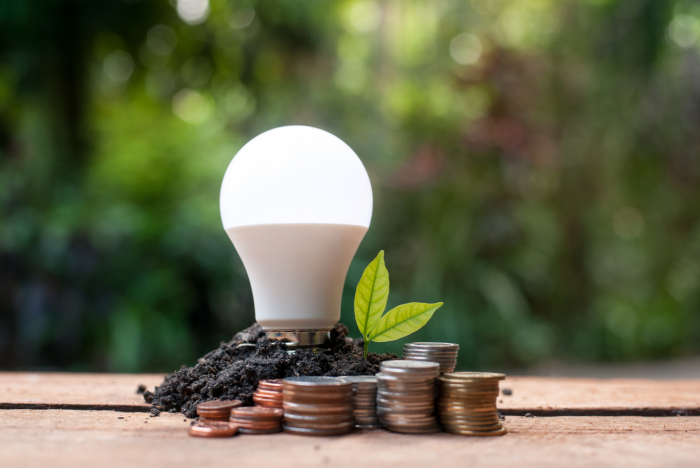 While having your energy generators may have been unaffordable in the past, now the costs associated with solar power have completely fallen in the last few years, especially as you can make your investment back plus more. So now that you know what microgeneration is, how much it can cost approximately and how you can make money, let’s take a look at what your options are, taking solar power as an example. Many customers know the Ikea name, the vast Swedish retailer has stores all over Europe and the world. In recent years, Ikea took another step in providing affordable products for their customers by developing a range of solar panels and storage batteries. Rooftop: Rooftop is their primary, low-cost solar panel package that consists of six panels that work together to lower your energy bill costs. The system costs £3535 and could help you save up to £380 on average every year! That means you could make back your money in under ten years in savings, and that’s without considering a FIT scheme. Rooftop Plus: The Rooftop Plus option comes in a sleek black colour, and it is designed to optimise your energy production and therefore make the most out of your investment. The system costs £3800, which means you’d make your money back in about ten years. Built-in Plus: As the name suggests, this is a built-in system that is created with integration in mind. So your solar panels are built into your roof seamlessly, while still retaining their production but being less visible. This system will cost you £5250, so it will take you just under 14 years to make your money back. It is important to note that all of these prices include installation, which can often hike the prices a lot more than Ikea’s offer. Insulation Superstore has a lot of different products to help you with microgeneration. With insulation products such as plasterboard and loft roll insulation, as well as their solar panel systems. 4kW Plug-In Solar Metal Roof Mounted DIY Solar Panel Kit: According to their website, these solar panels could be installed by a DIY enthusiast. They generate up to 4kW a year, which essentially means that it should cover most small families entire electricity needs. This system costs £3,860.39 inc vat and can save you 100% of your energy costs a year, so that’s probably around £1,000 in savings. Eon is a household name of one of the most popular energy suppliers in the UK. With millions of customers nationwide, Eon now offers their customers solar systems for microgeneration to make the most out of the daylight and cut your bills by approximately £600 including the FIT! Although there isn’t a clear figure provided to tell you how much this system will cost, there are some excellent savings to be had after installation. Eon also says that there is a lot of control given to customers regarding the design of their solar panels which can provide a modern and sleek look to your roof. If you’re looking at microgeneration for your home, you might also be interested in green energy suppliers in the UK. Some energy suppliers will supply their customers with 100% green energy. This means that 100% of their electricity is from renewable sources such as solar panels or wind farms, and their gas is usually at least 10% green. Let’s take a closer look at the energy suppliers that provide green energy. Bristol Energy is an energy supplier that only offers green energy tariffs as a part of their other offers, but their general tariffs use 41% renewable energy, which is above the UK average of 24.2%. They currently have an overall Trustpilot score of 4-stars, with 58% of their 550+ reviews falling within the positive 5-star category. MW on Trustpilot: Customer service great. Some of the profits used by the supplier to help needy Bristol communities. Of all the energy suppliers I have used, this company is by far the best. Highly recommended. Bulb is an energy supplier that only offers 100% renewable energy, and is growing in popularity in 2018 with over 5,000 reviews on Trustpilot, boasting a high 5-star rating with 92% of their total reviews positive. The only potential negative with Bulb is that they only offer one tariff, and it’s a variable rate tariff. What does this mean? It means that the cost of your energy is dependent on the open market. Which is affected by things such as politics and the time of the year. You could make some significant savings if prices go down. You would run the risk of the energy prices increasing and leaving you with a big bill. Zac on Trustpilot: Great company, very cheap and true to their word. I would recommend them, I have saved a lot of money since being with them. Ecotricity doesn’t rate as highly on Trustpilot as it’s competitors with only an average rating. Not only does it offer 100% renewable energy but it also invests in renewable energy generators. It was also one of the first, if not the primary, green energy supplier not only in Britain but also in the world. Having started in 1996 and claims to have kick-started the global green electricity movement. Keith Bardsley on Trustpilot: Very easy to use and excellent customer service. Transparent regarding price changes and tariffs. This is one of the only energy companies that not only offers 100% green electricity, but they also offer 100% green gas. Green gas is often more expensive to produce, which is why many energy suppliers currently don’t offer it as a part of their tariffs. They currently have a great 4-star rating on Trustpilot with almost 500 reviews from customers, 70% of which are in the 5-star top category. Andrew on Trustpilot: Excellent company. Reasonable prices but most importantly my experience with customer service has been sublime. OVO Energy offers their customers award-winning service, renewable energy and an ethical approach which they feel separates them from the other suppliers in the market today. With over 19,000 reviews on Trustpilot, OVO has a popular reputation and shares a 4-star rating with other similar suppliers online. Derek Cowell on Trustpilot: Great no-nonsense company, all dealt with online and a smart meter, could not be happier with OVO right now, hoping, of course, that time will not change their approach to customer relations. Highly recommended. All of their electricity is 100% green and they support many independent renewable energy generators. They haven’t been as well received on trusted websites like Trustpilot. 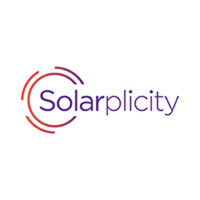 Solarplicity has a poor 2-star rating on Trustpilot, with 49% of their 1,500+ reviews falling within the negative 1-star category. Maria Gkavalia on Trustpilot: A very bad experience so far, no one answering my calls, two missed engineer appointments, no email confirmation letters- generally, a disaster company. These will tell you everything you need to know about each supplier you’re interested in. Including their tariffs, prices, extra services or even their customer satisfaction. You need to take into consideration what it is that you want the most in your supplier.